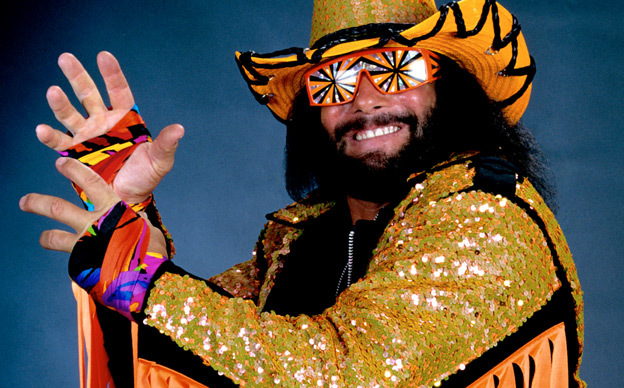 It was around lunchtime when I received the news that pro wrestler Randy Savage (aka Macho Man) died on a car accident. Apparently, he suffered a heart attack while driving and lost control of his vehicle, earlier today. Although, I never really was a fan of Macho Man. Like with many kids during the 80’s, I was in Hulk Hogan’s camp too. To me, Macho Man was just a hated villain. But he is still part of my childhood. As a kid (when I still believed that WWE was real), he earned my ire because he played being a villain so well, which in turn lead me to cheer for the Hulkster. He was also the other half that made WrestleMania V one of the most unforgettable summer events of my life. Looking back, I have to say that Randy Savage was also the most fun and colorful persona that came out from pro wrestling. The way he talked and his neon glam-metal fashion attire, he was so full of personality. That’s why he continued to be around for years, while his other wrestling colleagues from the 80’s were dying in comic book conventions. He had a cameo in Spider-Man (as Bonesaw McGraw), had a rap album, and even had a small voice acting part in the animation Bolt. I wouldn’t say I’d miss Randy Savage though. My days as a wrestling fan was long over. Still, I’m grateful for what he has done. I’m grateful for WrestleMania V and his feud with Hulk Hogan. All those were a big part of my childhood years. So, thank you, Macho Man. May you rest in peace.